The ATA27 CBT module is a comprehensive courseware covering both primary and secondary control surfaces of commercial aircraft. 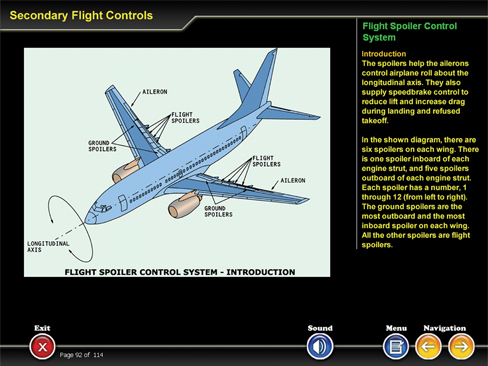 The surface control mechanism is also described for each control surface.The CBT has 194 pages of multimedia courseware that include text, audio, and graphics. The topics covered in this CBT are listed below.